During the summer of 2010, Tina was invited to demonstrate and teach her weaving techniques at the Willow Basket Weaving Festival in Denmark. 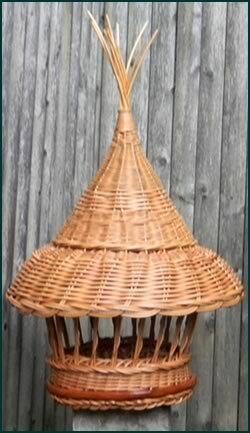 This was a wonderful opportunity for Tina to also learn from others new techniques, patterns, and shapes for weaving, and her absolute favorite was the birdfeeders! So Tina has created her own handwoven birdfeeders now and added them to her collection of woven works. 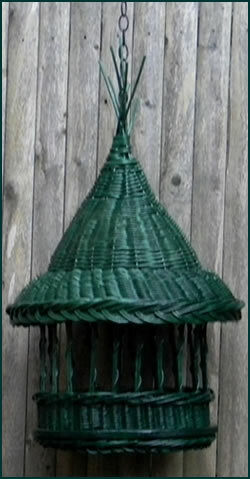 Tina will make these birdfeeders in any color reed you desire. Contact Tina directly to commission a custom birdfeeder.